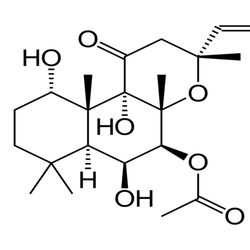 Forskolin, a diterpene compound derived from the roots of Coleus forskohlii plant, is considered to be the main active constituent in Coleus forskohlii. Forskolin is used in cosmetic products as skin conditioning and emollient agent. Our company is engaged in offering Forskolin, which are extracted from plant source coleus Forskohlii and are used as a CAMP stimulator. This is also used to stimulate a tanning response when applied topically and reducing urinary tract infections and enhance the ability of to kill bacteria that normally survive. 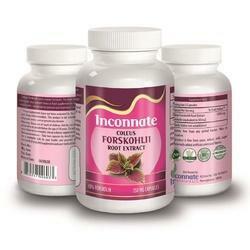 We offer Forskolin Capsules to our clients. Forskolin, a natural extract, has been used for centuries in traditional Ayurvedic medicine in India. It is a smooth muscle relaxant and anti-spasmodal agent.